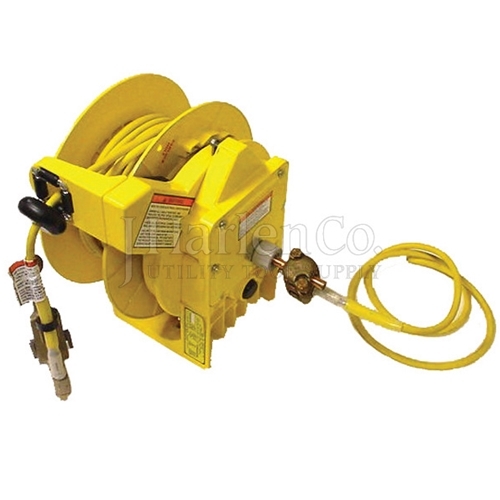 All ground reels with factory installed cables include a 6’ length of 2/0 ground cable to connect the reel to the truck. Item A30205, a 4 way bronze tee connector is provided to connect one end of the cable to the ground stud on the reel. The other end must be connected to the truck frame by a suitable means.